Toveco is a resource company. ← Working the Tripp Mine, benching the pit side of the Wayne / Lee cut. 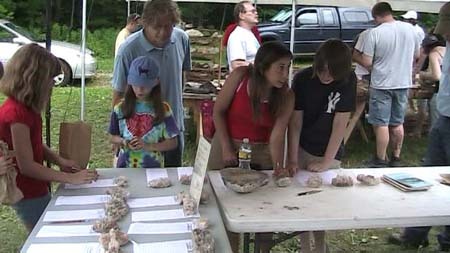 The Gilsum rock show held in Gilsum NH next door to Alstead NH and just down the street from the Toveco Mines, so to speak. I have been attending this event for many years and this year’s show is one of the best ever for attendance and fun. 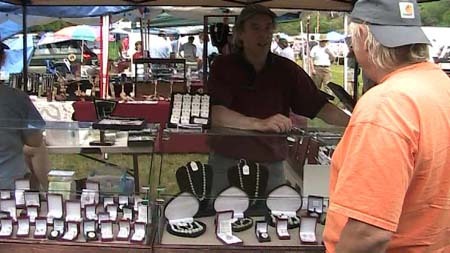 The attendance was also a big surprise because of the predicted rain that did not show up until the show closed on Saturday evening and ended early Sunday morning making for a dry show. The crew and I decided at the 2008 show to expand the booth and try some different things to do. One was to have a silent auction. The silent auction was a big hit. 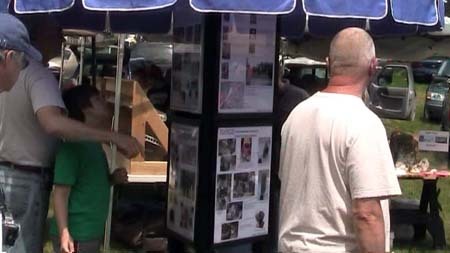 We will do it for the 2010 show and expand and promote the auction. Another was having the backhoe loaded with yard rock. It worked out well and we sold quite a bit of rose quartz. We will do it for 2010 and fill the bucket up full of large rose quartz pieces. Have a central poster board area for explaining the mining effort. The poster board worked out very well and will be expanded for 2010. To sum the show up it just was a lot of fun. 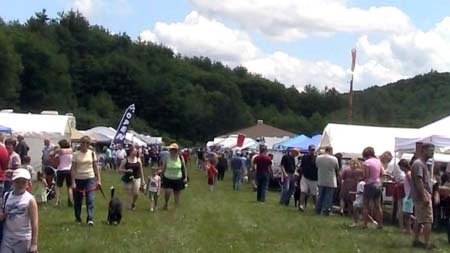 So if in New England next June make an effort to attend the 2010 show. The Gilsum show and the rain have slowed work progress down at the Tripp mine. Nevertheless, we have done some work there. The specimen show is from the pit side bench area mentioned in the previous blog. After this long weekend, I will have an update. 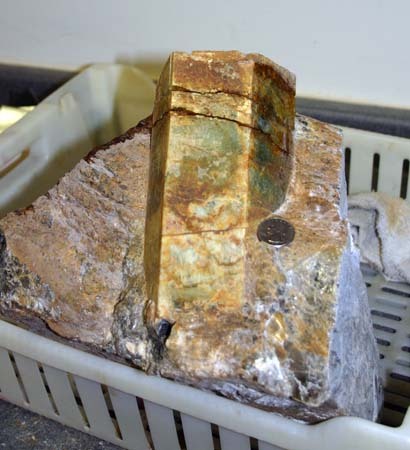 Wayne-Lee pit side, Tripp mine, 3.12” X 7” tall beryl crystal. This entry was posted in Information, Shows. Bookmark the permalink.